Tuesday morning UTLA teachers reached a tentative agreement with the L.A. Unified School District. Early reports of the tentative agreement included a potential six percent raise for teachers, a probable reduction in class sizes and the elimination of a contract provision that allowed the school district to increase class sizes during times of economic hardship. After nearly two years of negotiations, talks between officials at the LAUSD and the teacher’s union, UTLA, broke down on January 11 over issues related to pay, charter school expansion, class sizes and staffing. This led to the first strike by L.A. teachers in 30 years. In addition to teachers, UTLA members also include school nurses and librarians. 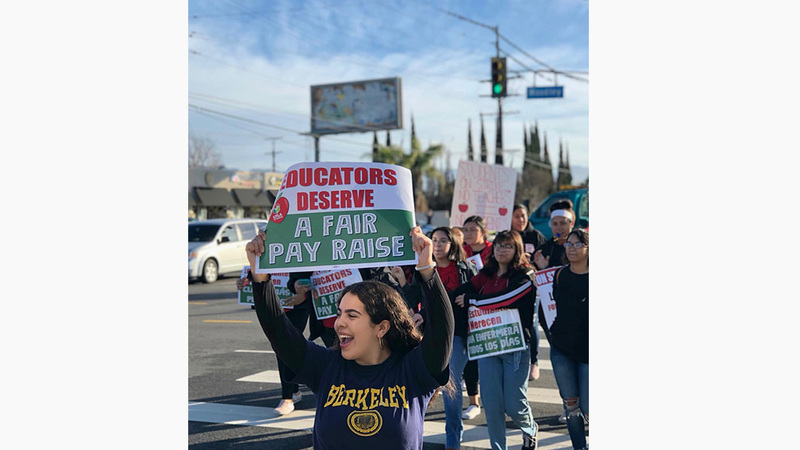 Throughout the strike the union maintained strong support for parents, politicians and other unions and while a tentative settlement was reached, UTLA members still need to ratify the agreement. An option does exist however, for union members to return to work until a ratification vote is taken. Because the current negotiations took more than two years to complete much of the period covered by the new agreement has already passed and if approved, the new contract will expire in June 2020.